After experimenting with film over the previous two decades, it was a thrill for Jim to be able to roll camera on his first feature film. 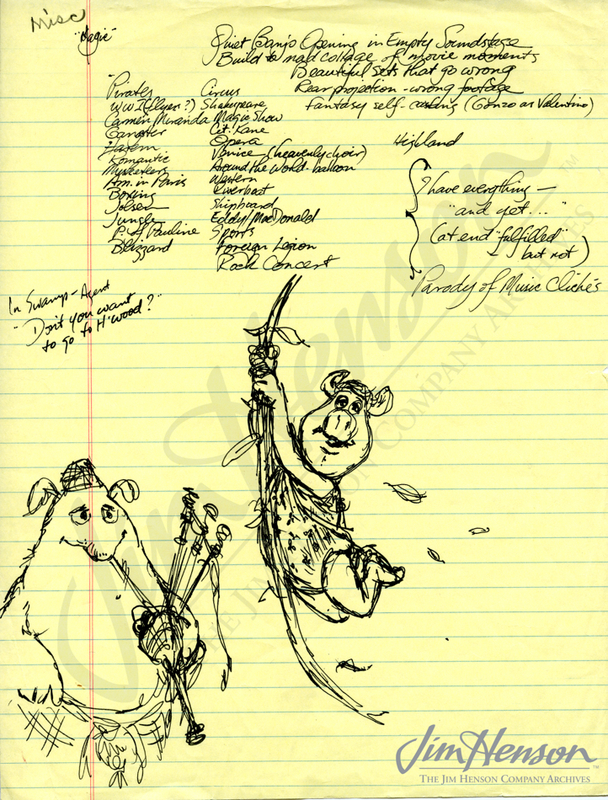 Script development had begun about a year before when Jim worked with Jack Burns on developing the initial outline titled “The Muppet Get-Together.” By May 8, 1978, Jim’s trusted collaborator Jerry Juhl presented the final structural outline which director James Frawley used to create his shooting plan. Frawley, Jim, Frank Oz and the team met in LA during the first few days of June 1978 for planning and to do some camera tests, and then Jim spent the rest of the month in New York leading company meetings and attending family events. He flew out to Los Angeles on July 3rd to begin the shoot on The Muppet Movie two days later. Learn more about the Muppet Movie script development. 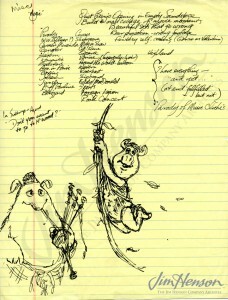 Michael Frith’s Muppet Movie meeting notes, 1978. 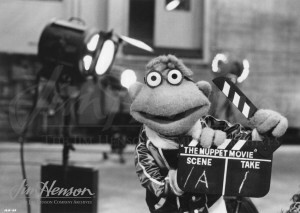 Scooter gets things rolling in The Muppet Movie, 1978. This entry was posted in 07-July '78, 1978, Muppet Movie and tagged Frank Oz, James Frawley, Jerry Juhl, Los Angeles, The Muppet Movie. Bookmark the permalink.